These words preceded the historic August 6, 1965 signing of the Voting Rights Act. Today is the 50th anniversary of Lyndon B. Johnson’s signing, which celebrates the significant enfranchisement of voters but also reminds us of our responsibility to relentlessly protect this fundamental right of democracy. In a special message, President Lyndon B. Johnson demanded that Congress pass the Voting Rights Act (VRA), protecting African Americans’ ability to vote. Until that point, southern states had imposed racist voting laws, such as literacy tests and poll taxes, specifically designed to create barriers for African American voters. Dr. Martin Luther King, Jr. and other Civil Rights leaders previously pressured Johnson to pass voting rights legislation, but despite his sympathetic stance, Johnson could not reconcile the political landscape with his desire to aid the Civil Rights movement. Johnson’s presidential opponent Senator Barry Goldwater was already gaining traction in southern states by questioning the constitutionality of the Civil Rights Bill. Only after America witnessed police assaulting nonviolent Selma marchers did Johnson have the popular mandate to deliver his iconic speech. It was the fortunate collision of a forward-looking president, brave Alabama activism, and horrific police brutality that allowed a politically divided country to pass the VRA on this day in 1965. On a state level, activists and organizers have worked to build on the impact of the VRA. 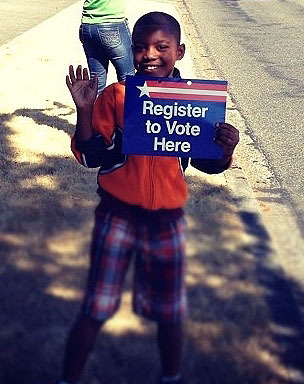 In 2009, Solid Ground’s advocacy branch, the Statewide Poverty Action Network, joined with the ACLU of Washington to pass the Voting Rights Restoration Act, which restored voting rights to approximately 400,000 previously incarcerated people in our state. Solid Ground staff & volunteers join CEO Gordon McHenry, Jr. to help get out the vote. Marcy Bowers, Poverty Action Director, said: “The legacy of the VRA is as important today as it was 50 years ago. Our country still struggles to make peace with its history of slavery and racism. We see this in the news daily: members of the African American and Latino communities dying at the hands of a militarized police force, brave activists demanding change, and a federal government struggling to find the political will to make the needed changes. In the year 2013, the Supreme Court decided to strike down the preclearance provision of the VRA. The provision forced historically racist states to get federal approval for their voting procedures. Chief Justice Roberts gutted one of the most effective acts in American history on the basis that racism is not the problem it was 50 years ago. Following the decision, six of nine states announced plans to move forward with more restrictive voter ID laws. On this 50th anniversary of the VRA, we must renew the call to ensure that everyone can access the most basic, fundamental right of our democracy. 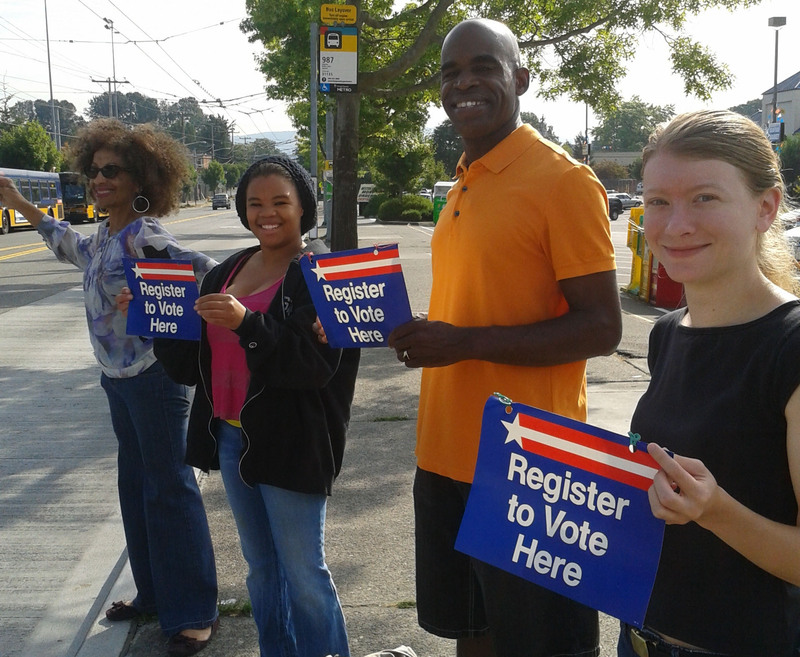 If you’re interested in volunteering with Poverty Action to register voters this summer, please contact Davíd at david@povertyaction.org. Session is officially over: The dust has settled! 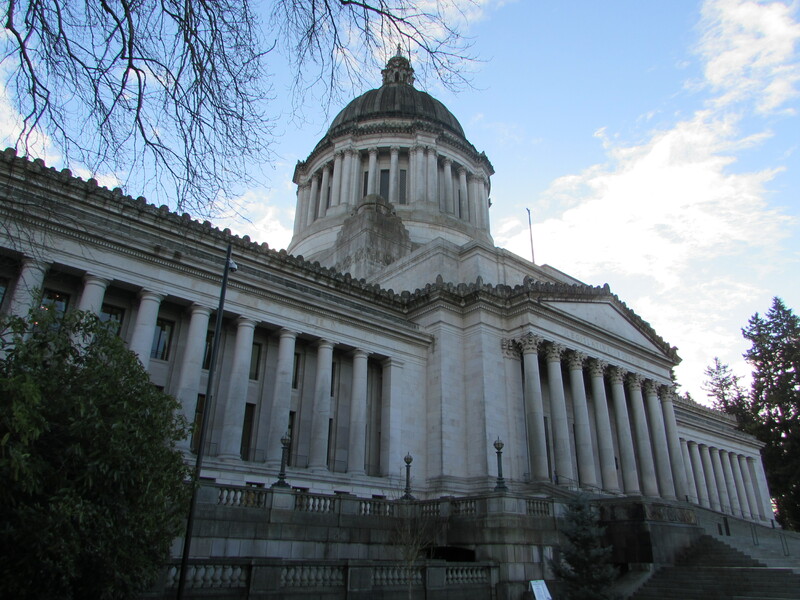 After 176 days and edging into a 3rd special session, Washington state’s 2015 legislative session ended in the second week of July. The final budget includes $185 million in new revenue from closing several tax loopholes and increasing some fees. It takes key steps to strengthen our state safety net; invest in early learning, K-12 and college education; provide emergency mental health services; and more. After years of cuts to Temporary Assistance for Needy Families (TANF), we saw a 9% increase in the cash grant! This increase also benefits immigrant families who rely on State Family Assistance to meet their basic needs. State Food Assistance was funded fully at 100% (instead of 75%) of the federal SNAP benefit, assisting immigrant families living on low incomes in buying enough food for their families. And Working Connections Child Care (WCCC) now has a 12-month eligibility assessment, which means that a parent won’t lose help with childcare if their income increases slightly due to extra hours or overtime from one month to another. Unfortunately state funding for Washington Telephone Assistance Program (WTAP), including Community Voice Mail (CVM), was eliminated. CVM provides a stable, secure way for people facing homelessness or who are in crisis to stay connected to critical resources – such as housing and employment opportunities – and accomplish their goals. All three of our main campaign priorities – Legal Financial Obligations (LFOs), Certificate of Restoration of Opportunity (CROP), and Ban the Box – gained positive momentum this year though none were passed into law. The LFO bill was voted out of the House almost unanimously and was moving through the Senate before an amended version died on the floor. We are excited to build on this momentum next session! Due to a groundswell of opposition from all across the state, including a lot of media attention, we prevented “small installment loans” (the new payday loan) from being passed. We also prevented passage of several other laws that would weaken our debt protections. We’ll most likely have to keep fighting this fight in the years to come, but it’s worth it. The strong consumer protections you passed in 2009 have saved Washington consumers nearly half a billion dollars in fines and fees. Your emails, phone calls, stories, and letters supporting revenue and investments in equity in our state made a real difference! Thank you for all the ways you made your voice heard this legislative session to generate revenue and invest in all families in our state. Visit the Statewide Poverty Action Network website for more information.